Location: northwestern part of the town centre, close to the main road going through the city (Vienna - Prague). 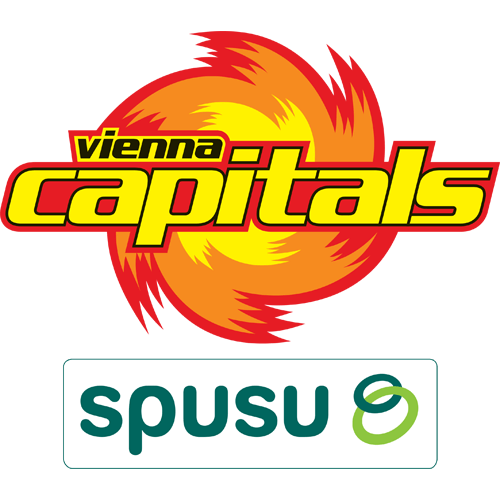 In order to access the arena on gamedays, it is necessary to obtain press accreditation unless you own a league-wide accreditation issued by EBEL. Please note that it is mandatory to apply for the accreditation in advance, at least 24 hours before the game. When confirmed by the club, the accreditations are then available for pick-up at the VIP entrance (just behind the corner from the main entrance) and are issued directly at your name. These accreditations shall then be returned at the same place after the game. To enter the stadium, please use the main entrance through turnstiles. Press box is available for media representatives at all games, offering good view of the entire ice rink, electric plug-ins and wireless internet connection. The press box is easily accessible and visible right after entering the arena through main entrance (see photo). Media representatives can move freely around the stadium a and use all facilities provided inside the arena, including toilets etc.